Let us give it a try and have a close view of what stands for these two words – thesis proposal. What is the structure of the paper you are now expected to write in due time? Thus, your first step in the direction of writing a successful thesis is choosing the right topic. It is even a preparatory step. After you are done with it, you will have to follow thirteen steps which we will offer you to write a successful thesis proposal. However, now you are choosing your topic. Please, pay special attention to whether or not there are enough sources available on the topic of your choice. You need to remember that even the most interesting subject can lead to a failure in case you do not have enough sources to support your paper. Write an introductory part of your proposal. It is not necessary to write it at the beginning. It is very much desired that your introductory part "catch the eye". It needs to be interesting and attract the attention of a casual reader to the whole paper. This is why it may not be a bad idea to write it at the end, when all the paper chapters are ready. Create a problem statement. You are required to state a question and then change it into a statement. You will need to answer what the problem is, why you believe it is a problem and what you can do about it in your research. Provide your reader with backgrounds. You need to explain why exactly this particular problem attracts your attention and why you think you will be able to cope with this problem. Describe the purpose of your research. You should briefly explain what its main purpose is. Address the significance of your study. It should be focused on the importance of the study, not of the problem. Show how significant your study is, to whom it may make a difference and in which particular way. Describe your methodology. Try to stick to very dry scientific way of writing. Provide literature overview. It is important that you discuss the literature you were able to find both in support and against your point of view. You should also describe the methodology used by other researchers when addressing this problem. Suggest a hypothesis. You need to briefly explain what you expect to get from your research. Explain how exactly you are planning to make sure your expectations are right. Provide the key terms used in your paper with definitions. Make assumptions. Describe things which cannot be verified, but still are being used in your research. Try to clearly explain the limitations you have to deal with in your work. Describe the ideal environment and the ideal conditions for the research: explain how far current situation is distanced from them. Provide the description of the procedure. The procedure of actions you are planning to undertake. Forecast long term consequences of your research. Try to describe them shortly, but clearly. Well, all of this sounds a little bit complicated, doesn’t it? 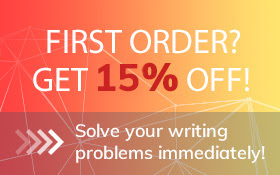 If this is what you think, you could go and order your thesis proposal at Top-Dissertations.com. Our specialists will readily develop a great thesis proposal in accordance with all your requirements. Save yourself the time and the effort. Buy a thesis proposal now at an affordable price and enjoy the time you have saved. There are other things you may do instead.